IN April of 2015, I bought my fifth Alfa Romeo – but this one wasn’t a replacement; it was an addition. I had long entertained the idea of having a classic car, principally for fun but also as a long-term investment, and when I finally took the plunge, I fell for another Alfa. 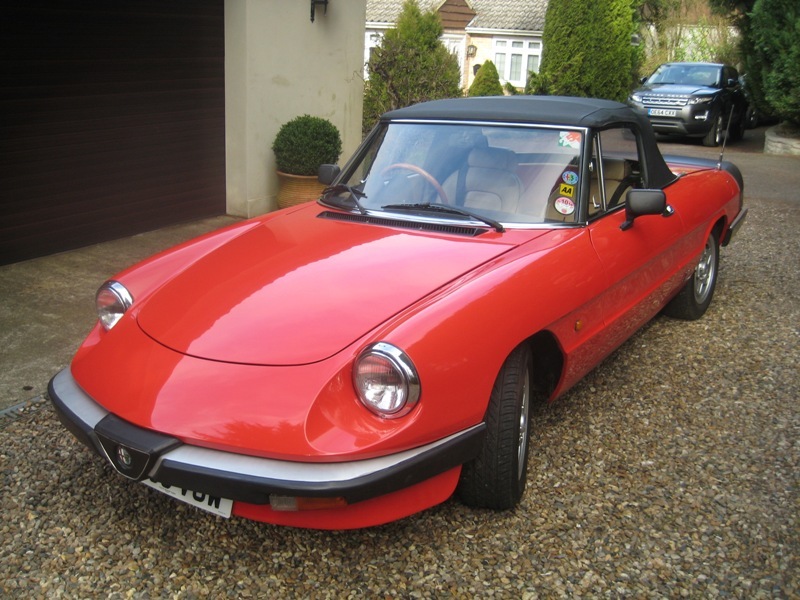 If money had been unlimited, I may have gone for something more exotic, but the scarlet Alfa Romeo 2.0-litre Spider that I eventually bought was a truly beautiful machine. It was bought from a private seller near Leatherhead, Surrey; it cost me £5 under £10,000. The car was a 1983 model built in South Africa and first registered in the UK in 1988. It bore an ‘A’ plate. It had had a few owners over the years and, in days gone by, had picked up a trophy or two in concours events. When I bought it, the Spider was well past that stage of perfection but it was in excellent order and I was thrilled with it. It had done just over 107,000 kilometres (about 66,000 miles) but performed well and, with its dazzling looks, was a real head-turner. So far I have had no cause for regret as it has behaved impeccably.